The HDD industry continues to be turbulent – but you can get the hottest, most important market updates at the DISKCON USA Storage Industry Conference. Top industry analysts will present information that will benefit everyone in the HDD supply chain, from the largest HDD company to the smallest supplier of material and equipment. 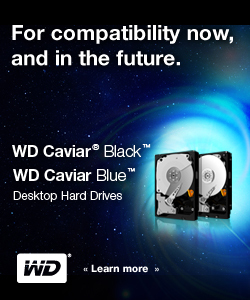 How is HDD demand for the balance of 2011 and for next year? Will hybrid drives become more common and why? How are tablets affecting PC (and HDD) demand, and will the Ultrabook platform be good news for the HDD business? Is cloud storage an opportunity or threat? Presentation titles and additional speakers will be announced soon. Sign up now to attend this session and the 25th DISKCON USA. IDEMA Concludes "Are You Ready?" Campaign After Successful Industry Adoption of Hard Disk Drive Sector Format Change: Advanced Format Technology Now Laying the Foundation for Future Breakthroughs - Read the full press release.